A recent question that I was asked was, “What is the most important thing that you have to do as a manager to keep your team focused on organisational objectives?”. Does your team know the organisational objectives to which it is contributing? This may seem like a silly question but my experience has taught me that it isn’t. Too many managers aren’t able to clearly and quickly articulate the organisational objectives to which the performance of their team is contributing. If you are in this situation then it is your responsibility to find out. The answer can usually be found in the organisation’s Strategic Plan or Annual Plan. These documents will exist but all too often their implementation seems remote from a mid-management perspective because a gap often exists between planning and operational activities. At the conclusion of your conversation ask your team member if they have identified any work that they are doing that doesn’t seem to fit anywhere on the map. The answer to this question will not automatically mean that they are doing something that they shouldn’t be doing, but it certainly should indicate that further inquiry into this work should be considered. If you follow the five steps above and regularly talk about the progress that your team is making toward the achievement of the objectives outlined on your organisation’s One Page Strategy Map you will have an enhanced capacity to help your team members maintain focus on the work that they should be doing. 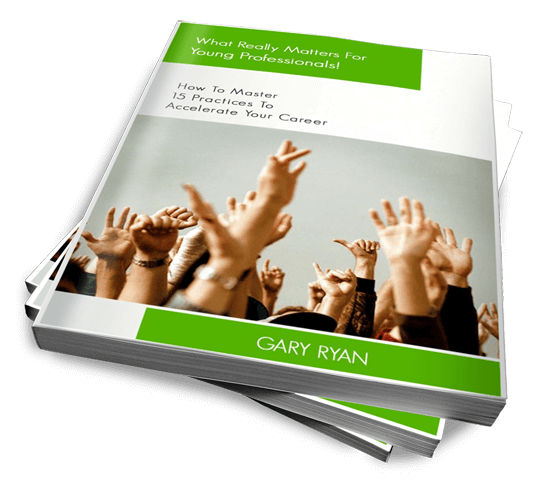 View a TedX Talk by Gary here. The Press Trust of India in Mumbai has reported in the Business Standard newspaper that Indian students have identified that they have a significant lack in development of key employability skills, with a particular focus upon communication and decision making skills. The significance of the report is not that the students have identified that they lack development in some key employability skills. This finding is common throughout the world, including Australia. What is of significance is that the article is evidence, yet again, of the global nature and importance of developing employability skills. The very nature of employability skills is that they are skills that relate to practical situations. In other words, employability skills cannot be learnt in a classroom alone. This is one of the reasons why we constantly recommend finding and/or creating opportunities to put employability skills into practice. We also advocate that the conscious and strategic choice to practice these skills will significantly enhance their development, as opposed to unconscious development of the skills. An important issue arises, however, for international students studying in places like Australia. How do these students access opportunities for practice, especially during an economic downturn? Part-time work is still available so that is one option. Volunteering is another. Recently I was speaking with a friend and colleague who is involved with the Rotary Club of Australia. His view was that Rotary Clubs provide a terrific environment for international students to not only volunteer and serve their community, but also provide an excellent entry point to local Australian networks. Such networks, he argued could also result in part-time work and, in some cases full time work. He also argued that Rotary Clubs also provide an excellent environment for international students to speak English on a day to day communication level, an experience which over time can have a positive effect upon a student’s overall communication skills. Such suggestions seem relatively simple and on one level they are. The hard part is taking action and placing yourself out into the unknown. I’d argue that international students are well experienced in taking action and placing themselves in challenging circumstances – after all, haven’t they taken incredible action to leave home and to come and study abroad, often when English is a second language and the culture is completely different! In this context, if you are an international student and you are concerned about the development of your employability skills, consider participating in organisations such as Rotary as the benefits would seem to far outweigh any disadvantages.